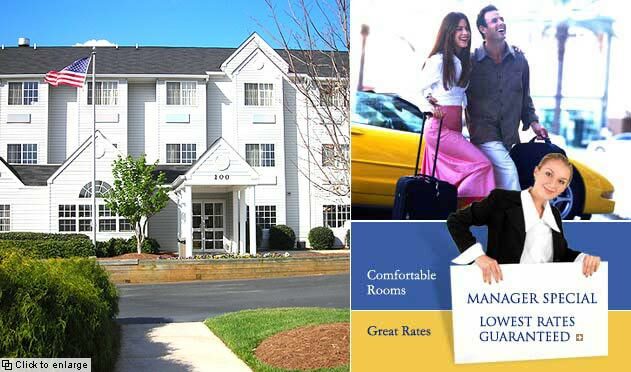 Experience an extended stay package at a Charlotte, NC area hotel. The Microtel Inn Winston-Salem is an outstanding hotel that prides itself on accommodating visitors who wish to spend a few nights or a few weeks. Our Extended Stay Package features a Single Room with one queen bed or a Double Room with two queen beds, well-lit work area, spacious armoire with drawer storage and complimentary continental breakfast each morning. Plus, we offer amenities such as an on-site laundry and same-day dry cleaning. Contact the hotel for weekly and extended stay terms and conditions.